Rowan is here to take the ladies away with TRUE LOVE! You will definitely give him a thumbs up after listening to this song. Budding Dancehall Act, Rowan, really put everything in this song to make it a masterpiece. 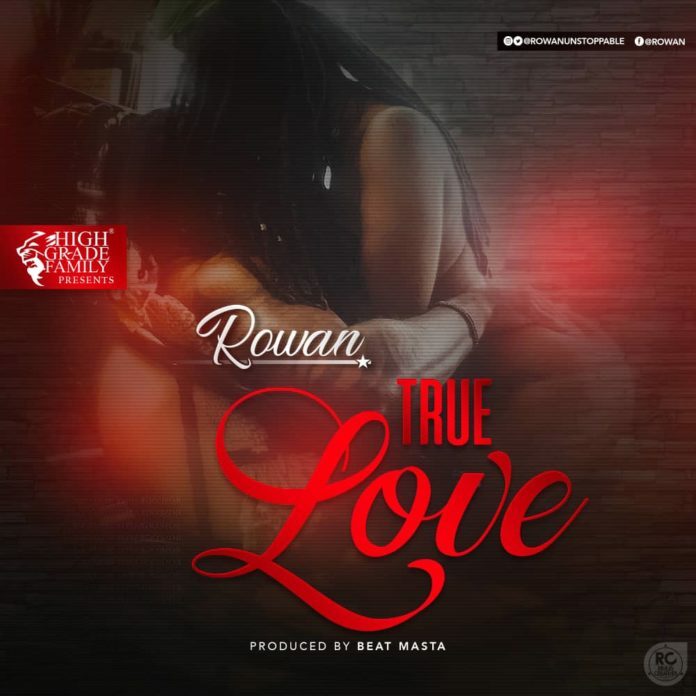 “True Love” produced by Beat Masta is the first single Rowan’s dropped for 2019 and it looks a good start for the rising Reggae/Dancehall Singjay. The HighGradeFamily affiliated artiste is very hopeful this song will shoot him to the limelight. Official Video for “True Love” shot and directed by Slingshot is expected to hit the screens and youtube soon. You can connect with him on the social media connects below. i loved the banger after i heard RADIO PRESENTER ANDY DOSTY playing it first time on his morning show program.. i have googled it but cant really find it to download.. i only find his tune tittled my eye… but i actually need my love to listen much better……maybe i should try adding him on fb.